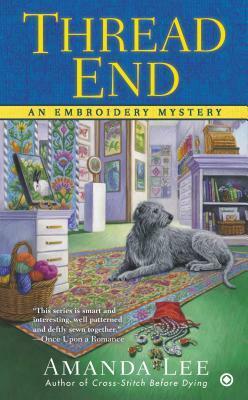 Spotlight on THREAD END by Amanda Lee and a giveaway! 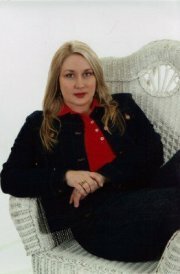 Amanda Lee, also writing as Gayle Trent, is a full-time writer living with her family in Southwest Virginia. She writes the embroidery mystery series as Amanda Lee and writes the cake decorating series and the Myrtle Crumb series as Gayle Trent. Today we are right smack in the middle of her tour with Great Escapes Virtual Book Tours. Leave a comment below for a chance to win a print copy of the book (US only) and you can ALSO go HERE for a chance to win a $50 Amazon Gift Card. ← A SENSE OF ENTITLEMENT by Anna Loan Wilsey, a new tour and a giveaway! I love this series, and love that it’s set on the Oregon Coast. I truly enjoy Amanda Lee’s Embroidery Mystery series. The characters are well-developed and certainly ones that you want to keep discovering more about. And, of course, angus is a love, too! Thanks for the review and giveaway. I look forward to reading this latest one. Looks wonderful and I need to read it 🙂 Thank you for the chance. I love the cover of the book. Thanks for the chance to win it. This book would be a treasure. Thanks for this review and giveaway. I haven’t read any of the books in the series so far, but this one sounds like a great mystery. I would enjoy reading one of this author’s books. Thanks for having the giveaway. Love this series and look forward reading Thread End. I like to embroider but it is not done much anymore and to find it in a book is great. Hi: I just know that I MUST get this series as my mother was an avid sewer and did every kind of needle work there is, and embroidery was something she and I always did. I still have a few things that I embroidered about 50 years ago so this series sounds very inviting to me with my love of this needle craft. I would very much love to win a copy of this book but I know how many others would love to win also. Just keep hoping right?? Thank you for the lovely blog post; it was so interesting. I really didn’t know much about the author except that I do have two unread books written by her so I need to get those read soon. Thank you for the opportunity to win a book. Love my books. Thank you all for your wonderful comments! Good luck! I enjoy this series. Glad to see a new one. A new series with a great big dog! What could be better. Sounds like a good series. Look forward to reading them. Amanda Lee + hand stitching= a perfect combination! Thanks for the chance to win. I love the rugged Oregon coast and embroidery, sounds like fun cozy. Im currently reading this book, and really enjoying it! =) Im going to go back and read the other books in this series.